Over the last couple of days, I had the pleasure of attending, as a guest, “Terror on the Border” hosted by Chambersburg Civil War Seminars and Tours. I do hope you were able to catch some of the tweets and Facebook posts, but if not, let me offer a quick “catching up” in review. Friday’s sessions held at Wilson Collage in Chambersburg, included eight speakers: Jeffry Wert, Richard Sommers, Steve Brockmiller, Ted Alexander, Mark Neely, Jr., Steve French, Daniel Carol Toomey, and Gail Stephens. That’s quite a lineup. The topics focused on activities in the summer months of 1864, though mostly narrowed to the events connected to Confederate General Jubal Early’s Raid that July and associated activities into August. The exception was Neely’s discussion of the Democratic Party’s 1864 presidential campaign. And I’d argue Neely’s topic fit in well alongside the others, reflecting the ultimate output from the military campaigns through those critical months of the war. 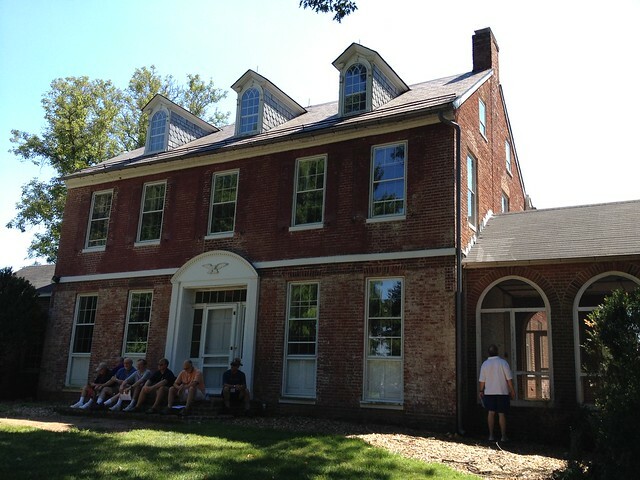 The Thomas house itself witnessed the fighting on July 9, 1864. What’s more, it was the setting of a very important meeting in which General U.S. Grant laid out the operations to follow in the fall of 1864. And we are coming up on the anniversary of that event. Let me offer up in closing and overall review of the programs, some overall thoughts on the programs. I’ve attended over the years a lot of seminars and tours. I found those offered by Chambersburg Civil War Seminars and Tours are a lot more focused than most. None of the speakers waded the audience through excessive high level overviews. Instead, we moved directly into discussions about the events in focus. Don’t get me wrong, sometimes those broad overviews are needed, and certainly welcome. But if the speaker has a finite amount of time to cover a subject, and the audience is sharp and attentive, as is the case for these seminars, we get more bang for the buck. In addition, the seminars and tours are structured to complement each other (as the speakers are constantly referring back to material covered earlier in the programs). These are blended, somewhat seamlessly, by Ted Alexander’s commentary throughout the sessions. These are “full course” meals, not “fast food” deals. So at the end of the series, the audience leaves with a full, robust appreciation of many facets of the topic. I highly recommend these programs. Please visit the Seminars and Tours website and consider future events on their schedule. 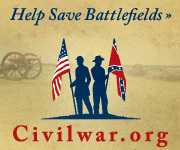 And… keep in mind the objective of the organization with these programs – battlefield preservation. It’s a win-win across the board. 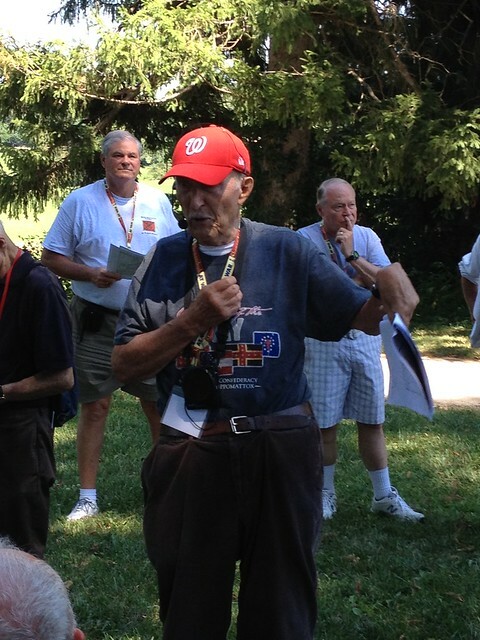 This Civil War tour will feature Ed Bearss, Jeffry Wert, Richard Sommers, Ted Alexander and others for this action-packed seminar. Click here to download the brochure: July – Terror on the Border Brochure. 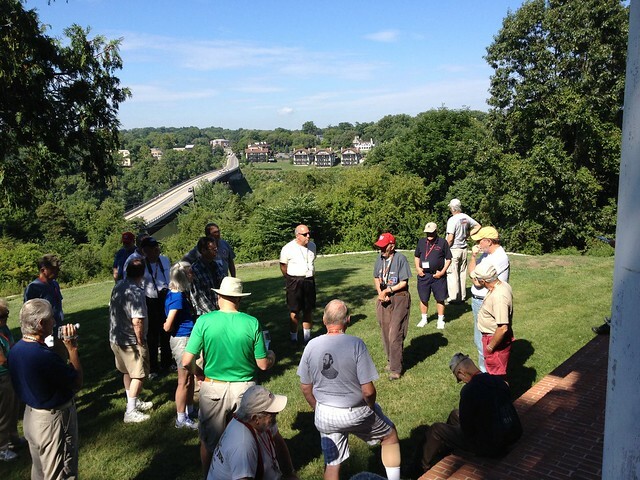 Wednesday includes an optional tour of Jubal Early and the lower Shenandoah Valley with Ed Bearss and Jeffry Wert. 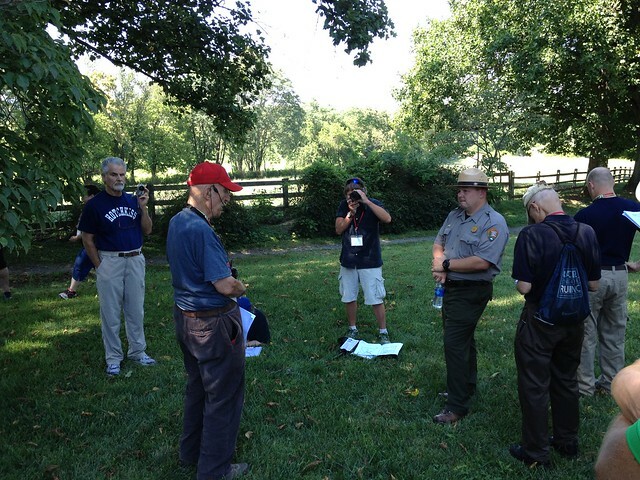 Wednesday/Weekend package begins with a walking tour of the Burning of Chambersburg with Keven Walker and Ted Alexander. 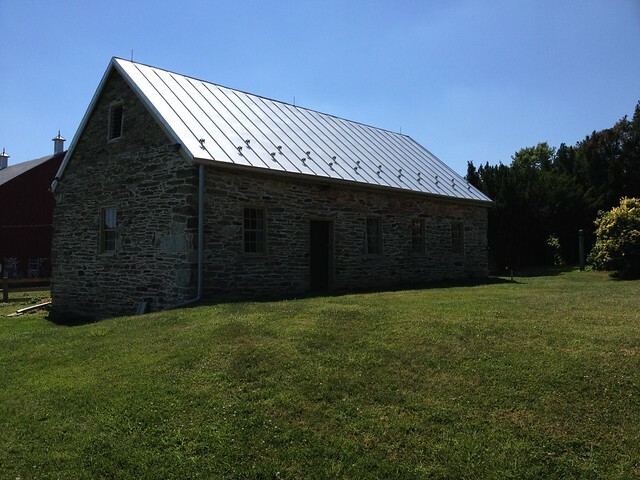 Friday seminars including lunch and dinner followed by our Civil War Auction. As you can see from the highlights, this program fits nicely with the previously mentioned events on the Virginia side of the Potomac. As I mentioned a few weeks back, the Civil War at Sea Symposium, scheduled for this Saturday (April 23) and sponsored by Navy Memorial’s Naval Heritage Center (seats are going fast, so RSVP!). “The Sumter Conundrum” looking at the Navy’s role in the Sumter crisis. “The Navy’s Evolutionary War” considering the coastal and raverine challenges from which spawned many technical innovations. “Lincoln’s ‘Father Neptune'” – a short biography of Secretary of the Navy Gideon Welles. And suggestions for further reading. In addition to the foldout, the “Historic Fleets” column by Robert J. Cressman examines the USS Pawnee in detail. The Pawnee played a role in the Sumter crisis, served through the war, and afterwards until 1884. Always a good read, this issue of Naval History is a good pick up for the Civil War enthusiast.